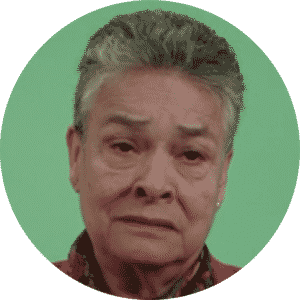 My name is María Herrera Magdaleno, I’m from Michoacán in Mexico. I am a mother. Four of my sons have disappeared in drug war-related violence which has plagued my country; two in 2008, and following that; another two, along with my nephew, in 2010. In August 2008, two of my sons, Jesús Salvador and Raúl, went missing. My sons are jewellers, they work with gold. They weren’t connected to the drug trade in any way. At the time of their disappearance they were travelling through Guerrero, a state that is controlled by violent drug cartels who are empowered by the money they make selling illegal drugs. These cartels were fighting between themselves for territory, killing one another’s families. According to the authorities, my sons were simply in the wrong place at the wrong time. It’s as if the ground swallowed them whole. This event changed my life forever. I’ve travelled so far, from North to South, even outside of Mexico, always searching for them. But there hasn’t been a single clue to their whereabouts. We did discover, however, that the drugs cartels and the government are connected, which put the safety of my family at even greater risk. Drugs create money, and when there is so much money involved in an illegal market, there is corruption. 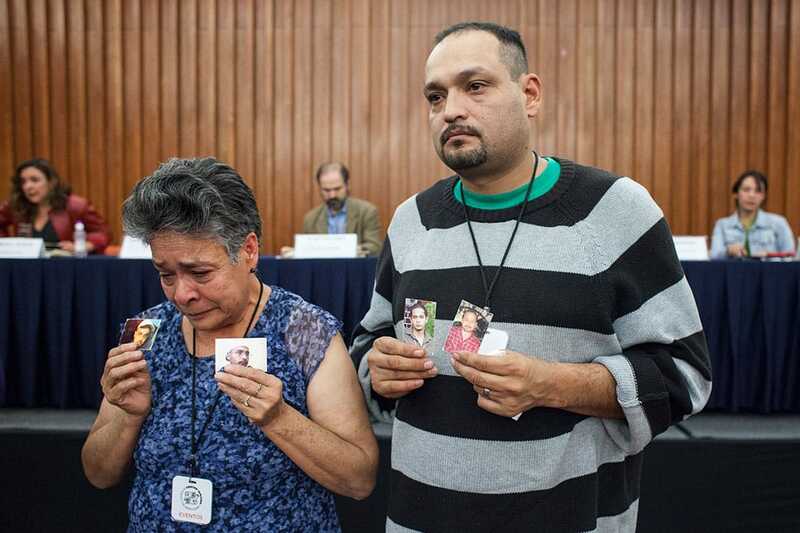 In 2010, just two years after my sons went missing, two more of my sons – Gustavo and Luis Armando – were taken. Having spent the past two years investigating the disappearance of their brothers, they had gone to another state looking to earn some much needed money. On their way, they were intercepted by the police and handed over to the Zeta cartel. Having lost four sons to the ‘war on drugs’, I can safely say that the current war is not a war against drugs trafficking, nor against drugs themselves. It is a war against families. It is a war against society. It is a war that affects all of us. Why do the authorities insist on imposing these wars, knowing that there will always be disastrous, unintended consequences? And what are these consequences? The lives of our children. It is ludicrous to think that these drugs, which people have been using forever, cause more harm than the harms being inflicted upon us by prohibition. I am certain that these plants have never made our children disappear. But now our children are disappearing. All because of the government’s policies. In fact, over 28,000 people have disappeared since the Mexican state intensified its drug war in 2006. I have joined the Anyone’s Child campaign because losing a child is the worst thing that can happen to a parent. I am willing to spend the rest of my life fighting for this to change, and to prevent more lives being wasted and more families from suffering as mine has. Everyone has a right to live a dignified life. To live in peace. This is what I hope we can achieve through legal regulation. To learn more please visit Anyone’s Child Mexico, the interactive documentary. Hear directly from the families on the frontline of the drug war calling for safer drug laws.